I had a great girls’ day today with one of my greatest friends, Ashley, and we went to lunch at Shine Morida. (www.shinerestaurant.com) There were so many yummy things on the menu, so we decided to order a few things to try, taste and nibble. 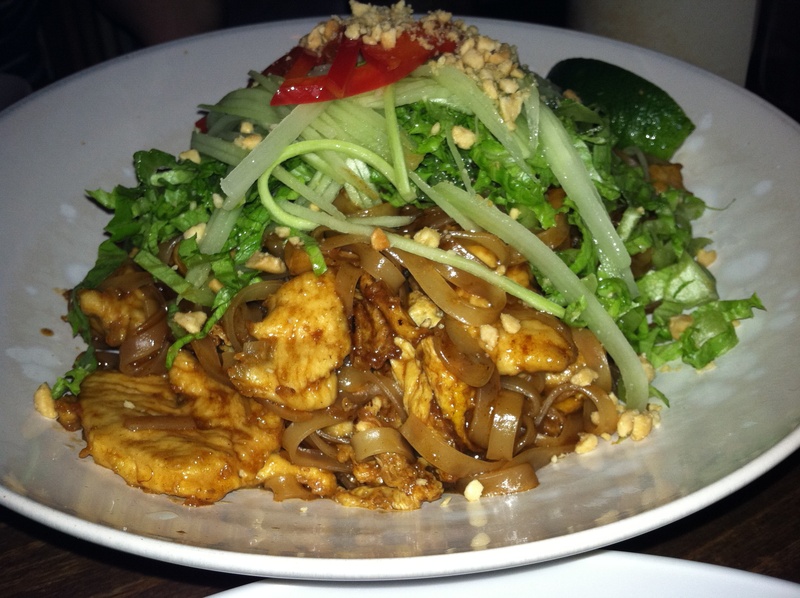 Pad Thai: This traditional noodle dish is made with rice noodles, chicken, egg, and sprouts. It’s topped off with greens, cucumber, cilantro and crushed peanuts. Squeeze some lime on top and it is de-lish! 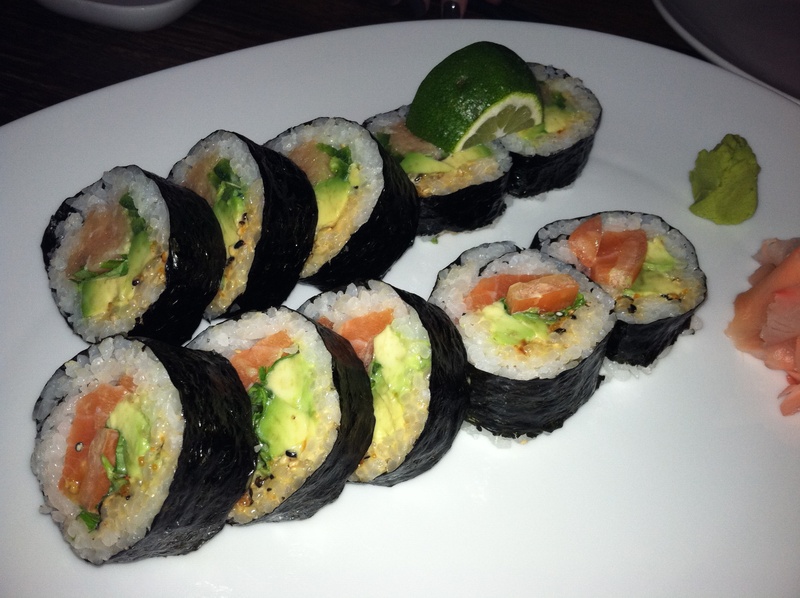 Mexican Maki: (on top) Made with tuna tobiko, cilantro, avocado, jalapeno & lime. Chef’s Spicy Maki: Made with salmon, avocado and cilantro with spicy sauce. 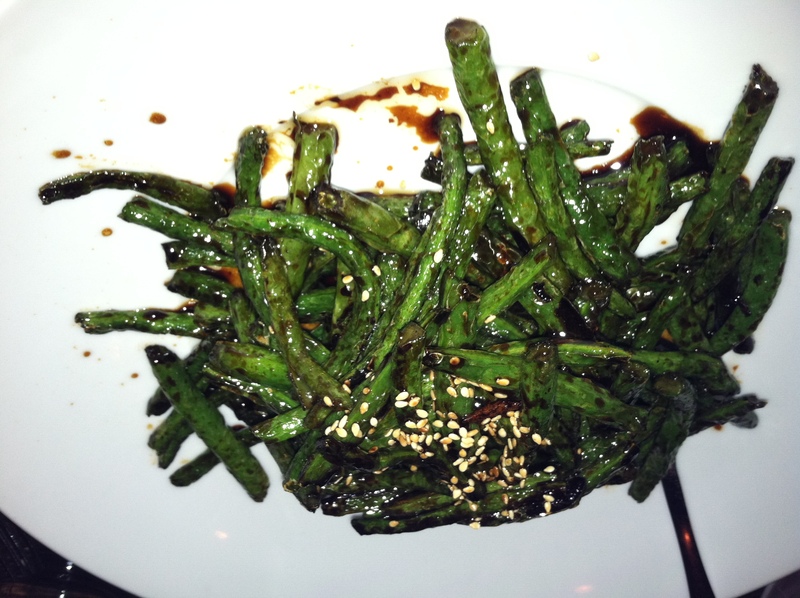 String Beans: These green beans are stir fried with garlic and oyster sauce. My favorite!